Running in the mountains in september is so beautiful! Wonderful colors and the temperature is perfect – not to hot but the sun is there to enjoy. The high season is over and we can run free on the hiking tracks. There are a lot of beautiful tracks with panorama view and the smaller tracks in the valleys are also lovely with nice views. The yoga will be adapted to your wishes but the aim is on restorative yoga. Last day, you can choose between a short run or yoga session. Walserhuus Hotel, Sertig Valley, Davos. Some rooms with the jacuzzi on the terrace, available for all of us from outside. From Zürich you can go by train for about 1 hour and 50 minutes to Davos Platz. From there you take the bus to the Hotel for about 20 minutes, no need for pre reservation. It is a really beautiful trip. If you travel by car it is about 2 hours and 15 minutes from the airport to the hotel. 855 CHF (excl. travel) – early bird – price, sign up before May 1st. 950 CHF (excl. travel) – sign up berfore June 1st. 7400 SEK (excl. travel) – early bird – price, sign up before May 1st. 8 200 SEK (excl. travel) – sign up before June 1st. Deposit is 220 CHF or 2000 SEK and is required for a definite sign up. The remaining payment at July 15th. Deposit is non-refundable and cancellation later than 30 days before first day of the retreat is non-refundable as well. Send an email to margareta.hultman@psim.se – tell me about your background in running and yoga so we can properly adjust to your level. Welcome to this Yoga Hiking Retreat! 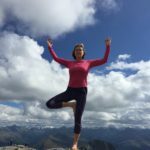 as I am a sports psychology counselor and Hatha yoga instructor, I will have some small lectures in yogic positive psychology. And have the classes in restorative Hatha yoga. I will also be your hiking guide. is a teacher and high level orienteering runner. 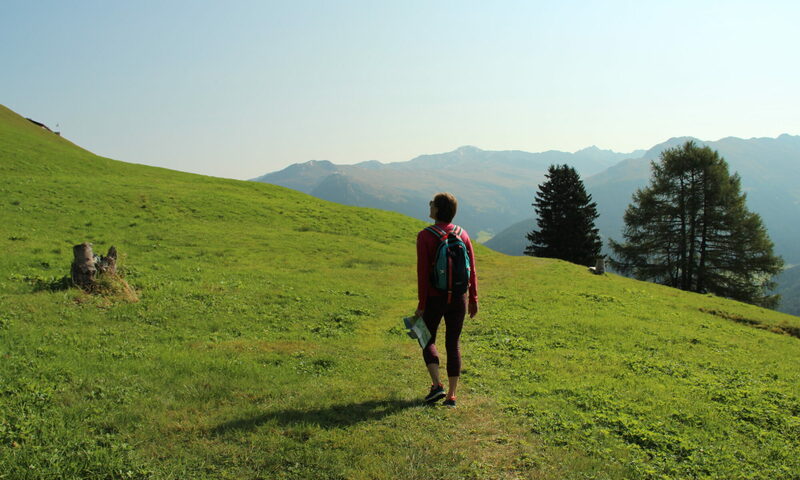 Jennie loves running and nature and is a safe guide to the alps. She leads the group with the faster pace and the longer distances and can challenge if you want!